If you have never been to a Southern California beach, you are really missing out. The sand is beautiful and white, the board walks and piers are filled with great shops and restaurants, and on a clear day you can see Catalina Island. 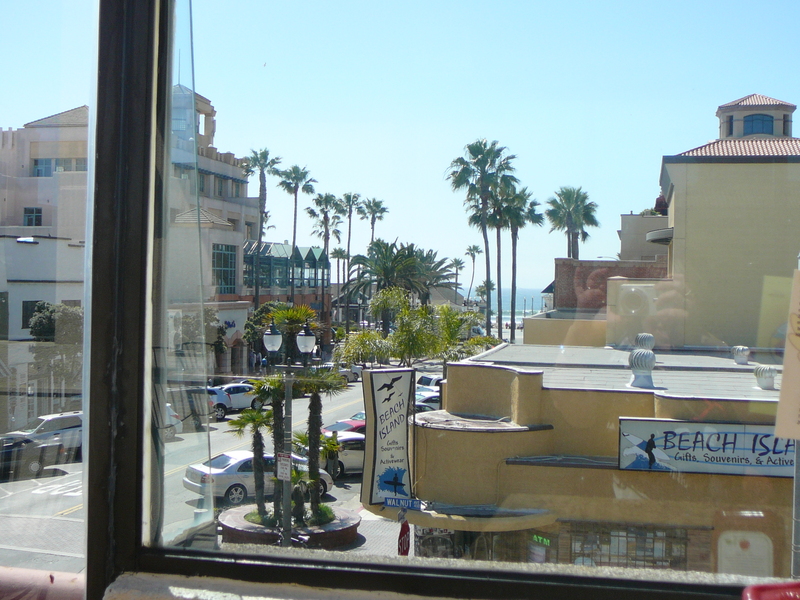 Nestled along the iconic Pacific Coast Highway (“PCH” to the locals), Huntington Beach is unpretentious, beautiful, and the most laid back of the Orange County beach towns. Located just a half-block from PCH is the Huntington Beach Beer Company. If you are looking for great food, wonderful beer, and a gorgeous ocean view, this is your place. But enough of my rambling, let’s get to the beer! Golden Bear Brown Ale is an English style ale that is dark amber in color, and the aroma and flavor is reminiscent of iced coffee. I’m not a huge fan of IPA’s, but the brewery’s Indicator IPA could make me a believer. This IPA is unfiltered with light hops and the flavor and aroma of citrus and jasmine flowers. Indicator IPA is a wonderfully flavorful, spicy beer for spring. Uncle Wilford’s Irish Red Ale is medium-bodied and has a sweet aroma and nice butterscotch flavor. The Irish Red would go very well with a burger. 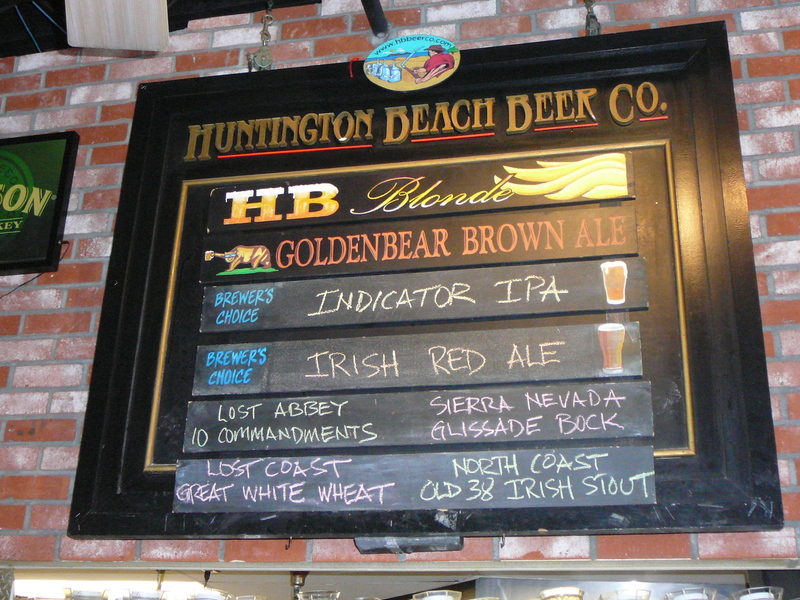 My favorite brew from HB Beer Co. is the Huntington Beach Blonde Ale. Light gold in color, this pretty ale has a sweet, floral aroma and a crisp, clean finish. The Blonde Ale is a perfect beach beer. A few miles down PCH is another great seaside town with another great brewery. 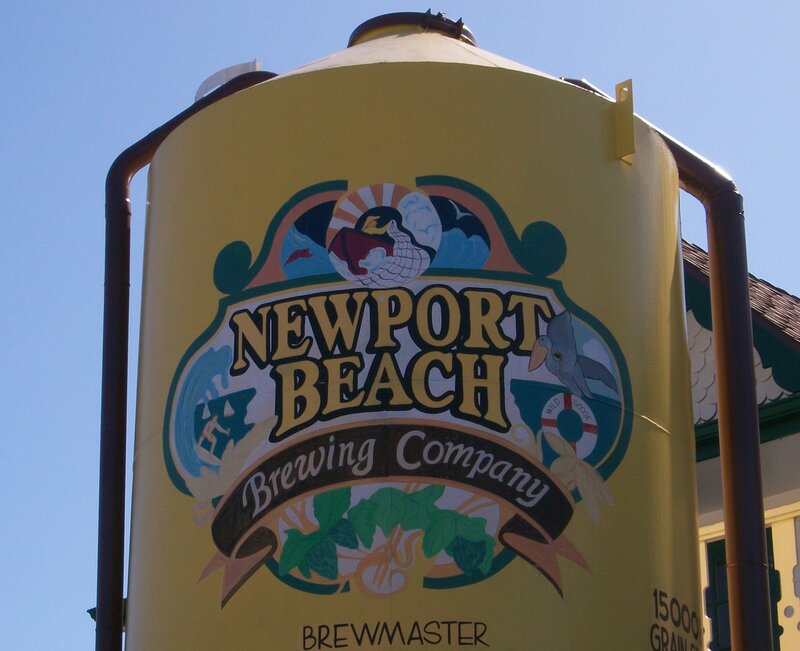 Newport Beach Brewing Company opened its doors in 1995 becoming Orange County’s second brewery. Brewing according to the Bavarian Purity Law of 1516, or “Reinheitsgebot”, NB Brewing crafts some of the best, award-winning beers in Orange County. My father-in-law and I enjoyed The Wedge Weizen and the Newport Beach Blonde. Beautifully unfiltered, The Wedge Weizen has that wonderful banana clove aroma and flavor that I just adore and slight hints of fruit nicely round this beer out. The Newport Beach Blonde is another perfect beach or poolside brew. It’s light, crisp and floral with a nice clean finish. Scott really liked the Pelican Pale Ale. Using Cascade hops, the pale ale is dry hopped giving it a great citrus flavor and aroma. The beaches of Orange County are like no others I have been to. Maybe I’m a bit partial, being a Southern California girl, but one only needs to walk down the shoreline and piers to understand how lucky we are to have a beautiful coastline. Part three of The Best of Orange County is coming soon! Thanks for stopping bye and the kinds words for our Beers. We recently changed Brewers so it’s good to know people are enjoying his beers. Prost!